Seven members of the U.S. Navy SEALs have been punished for revealing secrets while working on Medal of Honor: Warfighter. 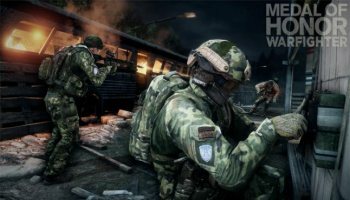 To boost its credibility as a "realistic" military shooter, Electronic Arts brought in active-duty Navy SEALs to consult on the development of the recent Medal of Honor: Warfighter. How much of an impact they actually had on the game is debatable - they worked for only two days over the spring and summer, and the review scores speak for themselves - but their time on the game was enough to land them in deep trouble with their superiors. Seven members of SEAL Team Six, including one who participated in the raid that killed Osama bin Laden, have been disciplined for "revealing secrets" while working on the game. Four others who have since transferred out of the unit but are still on active duty are also under investigation. It's not known what secrets they gave away, but they did apparently make use of classified Navy documents in their role as consultants. The seven were disciplined for failing to seek permission from their superiors to work on the game and for showing game designers some of the "specially-designed combat equipment unique to their unit." "We do not tolerate deviations from the policies that govern who we are and what we do as sailors in the United States Navy," Naval Special Warfare Command Deputy Commander Rear Admiral Garry Bonelli said. He added that the disciplinary actions "send a clear message throughout our force that we are and will be held to a high standard of accountability." The seven SEALs involved have all received a letter of reprimand and will lose part of their pay for two months.